For warmth and comfort, down sleeping bags are the obvious choice. Fears of complete saturation and loss of all of those warmth properties prevented me from making the switch from synthetic bags. 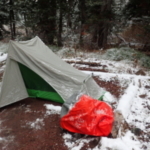 The Sierra Designs Zissou Plus Sleeping Bag eased this fear, keeping me warm and dry in snow, rain, and wind. 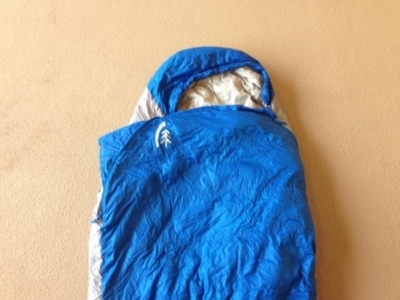 I tested the Sierra Designs Zissou Plus Sleeping Bag on two trips and in varying conditions. The first was a 4-day fall trip in the Maroon Bells near Aspen, Colorado where it was first 40 degrees and raining then 15 degrees and snowing at night. The second was was a 13-day backpacking trip in Glacier National Park at the end of September through mid-October. During the latter trip, the weather varied from a dry 50 degrees, a snowy 10 degrees, and a rainy 30 degrees at night. 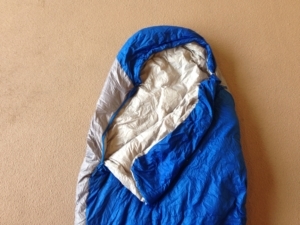 The Sierra Designs Zissou Plus Sleeping Bag is made with 700 Fill Duck DriDown insulation material. The DriDown insulation combines the warmth and insulation of traditional down material with the hydrophobic finish of a synthetic bag. 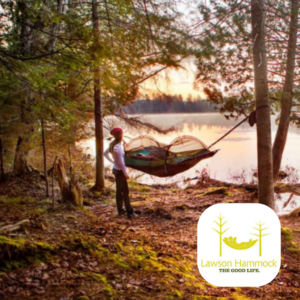 An untreated 15-degree down sleeping bag loses up to 30 percent of its loft over eight hours in an 80 percent humidity environment. In short, a 15-degree bag turns into a 30-degree bag. With DriDown treatment, though, bags lose only 2 percent of their loft, retaining 98 percent of its insulation properties. To say the least, DriDown is pretty innovative. To get more into the tech specs, the comfort and lower limit of the Sierra Designs Zissou Plus Sleeping Bag is 27 and 15 degrees Fahrenheit, respectively. 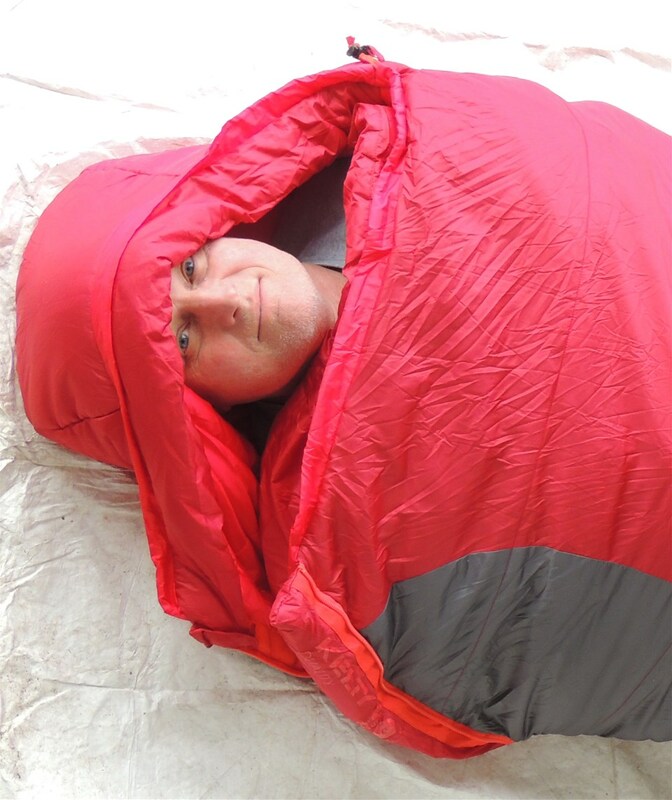 The regular sized sleeping bag fits to a 6 foot tall male with a 62 inch shoulder and 58 inch hip width. There is a full zipper on the left side of the bag and a quarter zipper on the right side. Sierra Designs recorded the stuff size as 8 x 19 inches, but with a compression sack, I was able to shrink it down more than half that. This bag was one of the most comfortable I have ever slept in. Although it is inspired by mummy designs, I never felt restricted in the Sierra Designs Zissou Plus Sleeping Bag as I do with other mummy sleeping bags. 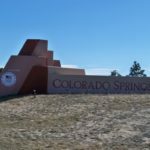 I could toss and turn without the whole sleeping bag twisting upside down, I woke up without a twisted liner during sub-15 degree nights, and I could change into my hiking socks and pants in the morning without trouble. On a more extreme note, the width of this bag prevented my mild hypothermia from accelerating into moderate hypothermia during the Maroon Bells trip. My expedition partner, who was also mildly hypothermic, and I were both able to fit in the sleeping bag to warm each other. Although we could not move around easily, that extra room that most mummy sleeping bags do not provide allowed us to properly address a serious medical concern. The Sierra Designs Zissou Plus Sleeping Bag definitely performs according to its 15 degree rating. On nights closer to 50 degrees, I slept comfortably in a t-shirt and shorts. On colder nights between 15 and 40 degrees, I felt just as warm as the 50 degree nights with a fleece and leggings. Even on the colder nights, I did not feel I needed a hat because of the warmth provided by the hood and the insulation flaps covering each of the zippers. Once temperatures dropped below 15 degrees, I needed a sleeping bag liner. Because of the DriDown finish, my feet stayed warm and dry even when the condensation from my tent got the bottom of my sleeping bag wet. The hydrophobic properties also allowed for my sleeping bag to dry inside my compression sack during the day. 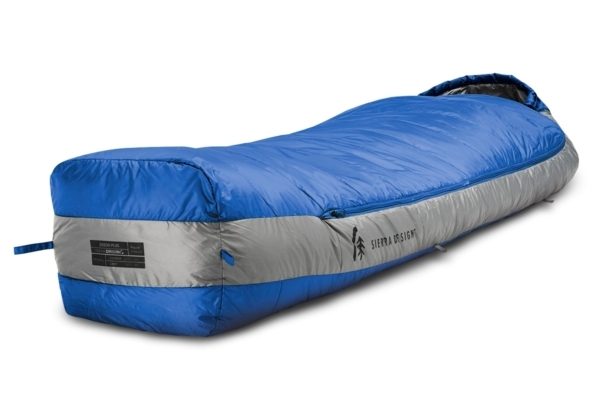 The Sierra Designs Zissou Plus Sleeping Bag ultimate trade-off is between comfort/warmth and size/weight. Whereas other 15-degree, light weight sleeping bags average about 2 pounds in weight, the Zissou Plus is 2 pounds and 10 ounces. 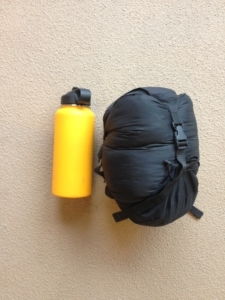 Although it is more compact than synthetic sleeping bags, it is minutely larger once packed than other down bags. For me, the comfort and warmth is worth the extra weight, and, with a compression sack as opposed to a stuff sack, I did not have trouble fitting it into my pack on either the 4-day Maroon Bells trip or the 13-day Glacier trip. 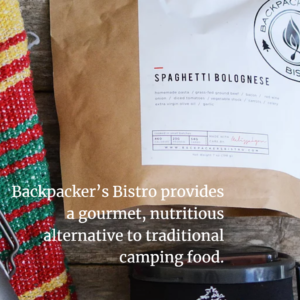 For ultralight backpackers, though, this trade-off is a greater consideration. For the backpacker hesitant to switch from synthetic to down, the Sierra Designs Zissou Plus Sleeping Bag offers a great balance between warmth and waterproofness. Despite its mummy design, the bag had plenty of room inside for nighttime tossing and turning or a close-knit cuddle with your expedition partner. Backpackers less meticulous about every ounce of weight will love this bag, whether in the Pacific Northwest or the desert.